Sometimes a riding mower isn’t the right machine. When the area you’re mowing is on the smaller side, a premium walk-behind mower will serve you well. The lawn care experts at Little’s take the time to get to know you and your lawn. We’re not about selling you the most expensive piece of equipment, we’re about helping you find a machine that meets your needs. At Little’s, we offer several models of Honda walk-behind mowers that are perfect for residential use. Little’s carries Honda’s HRS line of entry-level residential push mowers. Each side-discharging mower features a three-year residential warranty, a 21-inch heavy-duty steel mowing deck and a Honda GCV160 engine. This engine type is known for being quiet and lightweight, but it’s quite powerful as well. The HRR series is Honda’s mid-range line of residential push mowers. Little’s carries all four of Honda’s HRR models. Any model in the HRR series is a solid option for homeowners who aren’t willing to sacrifice key features, but who are also on a budget. These powerful walk-behind lawn mowers are a great asset for homeowners throughout the spring and summer months. The HRX series is Honda’s premium line of residential walk-behind mowers. Honda’s HRX series offers consumers a number of desirable features, such as effortless electric start or cruise control. All models in the HRX series have mulching, bagging and leaf-shredding capabilities. Every HRX series push mower is backed by Honda’s five-year warranty. Little’s stocks the HRC216PDA and HRC216HXA models in Honda’s HRC commercial walk-behind mower series. Each model features a 21-inch rear bagging/mulching system, as well as Honda’s exclusive MicroCut® twin blades, a patented cutting system featuring four cutting surfaces. The MicroCut® twin blade system delivers superior mulching and more clippings per bag. 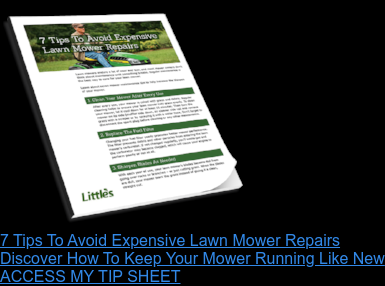 Whether you’re looking for a residential or commercial walk-behind mower, Little’s has a Honda machine that will meet your budget and your needs. We look forward to seeing you at one of our four southeastern Pennsylvania locations to help you select the mower that’s right for you. Don’t forget to ask your Little’s sales guide about our financing and leasing options.